Has anyone looked at interfacing with the Deebot Ecovacs? It would be great to be able to have it run when the house is in away mode. 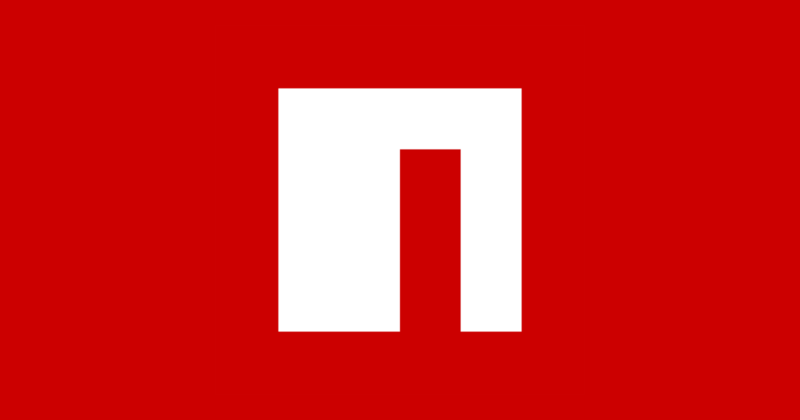 I cant find any mention of it here, I found the below npm package. all its free time hanging out in an internet chat room. follow the same protocol conventions. The HTTPS and XMPP servers do not appear to be following the same convention. I noticed on the Amazon listing it is says "Works with Alexa". If you are able to set it up in an Alexa routine, you could trigger that routine based on a Virtual Contact sensor in HE. You could have a rule to set the contact sensor to open or closed when you are in Away mode and that could trigger a routine in Alexa. Dunno if this skill in Alexa allows it to be in a routine or not but it's worth a shot. Good thought but I checked it out and its a no go. Why is that? What is keeping you from doing that? Not all Ecovacs work with Alexa. N79 doesn't, N79S does. @potts.mike it does look like someone built a lambda function for it, so you can create your own alexa skill. I've never done that but considering looking at it. 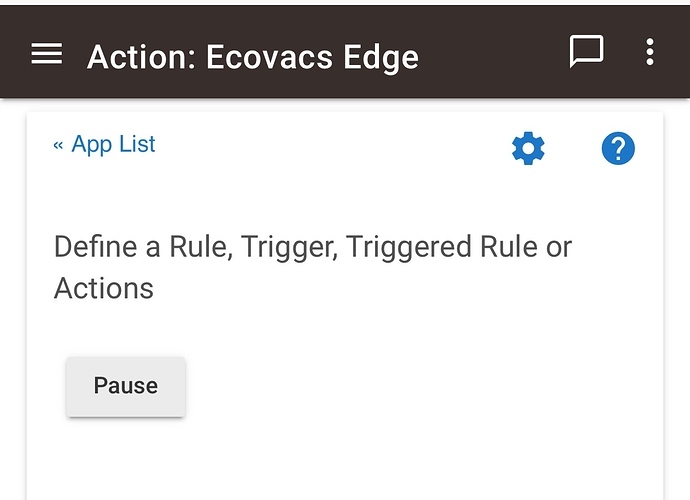 Ecovacs API usage in AWS Lambda. Contribute to bamminger/ecovacs-aws development by creating an account on GitHub. You can see if this will work for you. It's really crummy code but my thinking is that I can create an action that I can call when someone leaves the house and if the day is Wed or Sunday, it calls clean. When someone gets back, it calls Charge and sends a notification to check the vacuum. 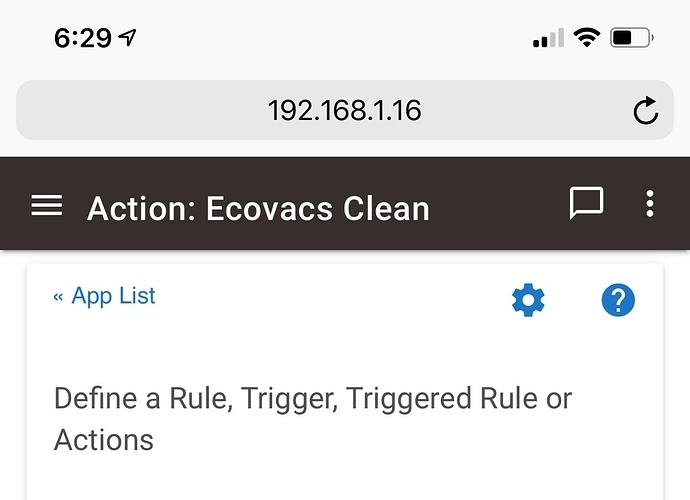 Ecovacs Robotic Vacuum API. Contribute to bdwilson/ecovacs-api development by creating an account on GitHub. 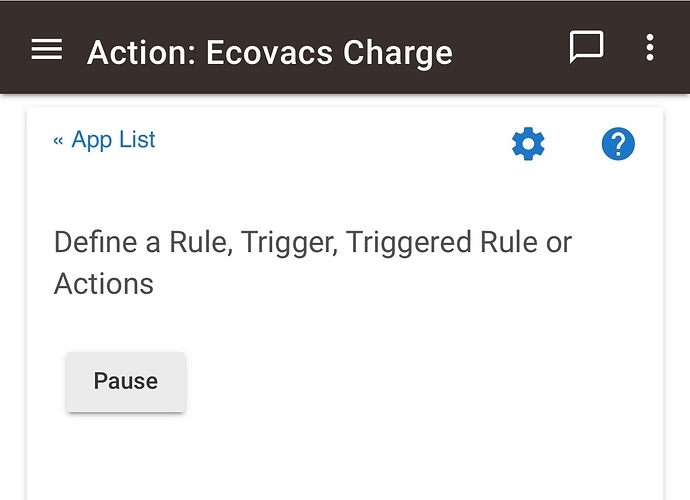 Here is a tip that at least works for my N79S models, they automatically start running if the charging unit loses power. I plug mine into a Ikea Zigbee outlet, when I want it to run I just turn off the outlet and turn it back on a minute later. Yeah it would be fantastic if a real driver was written but in the meantime, trick it. I have a larger radius geofence I use for turning on/off AC schedule and on/off vacuum. Smaller radius for locking doors/garage doors. Here are what happens when everyone has left the large radius (specific to the ECOVACS). If cleaning ran (based on private bool), return to charge and cancel original actions (in case I come home before the 45 min delayed action to edge has started).